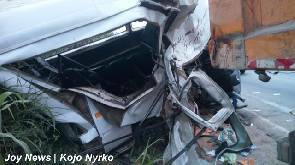 A head-on collision between a Sprinter Benz bus and a tipper truck at Gomoa-Akotsi in the Central Region has claimed two lives and left 14 others seriously injured. The Sprinter bus with number AS- 2833-12 crashed into the truck with registration number GX9475 – 14 after a failed overtaking attempt at about 4:00am, Wednesday. 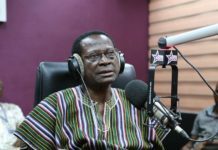 The Sprinter was fully loaded with passengers from Senya Breku to Accra when the accident occurred, according to Awutu Breku District Commander, Asp Samuel Amfo. 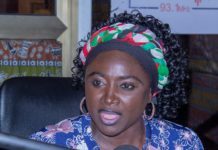 He said two persons died on the spot and ten out of the injured are responding treatment at Trauma Hospital in Winneba and the Kasoa Polyclinic. “Four among those at the Trauma hospital are in coma but the rest are responding to treatment,” Asp Amfo indicated.